We may finally know who Jude Law is really playing in Captain Marvel. Note: Spoilers are possibly discussed in the post. Ever since Jude Law joined the Captain Marvel project, his role in the movie has been a mystery. We know he’s playing Walter Lawson, but the mystery deepened when his role was also reported to be Mar-Vell, only to never be confirmed by anybody involved with the movie. The mystery deepened in an appearance on The Late Show with Stephen Colbert where Jude Law declined to comment on his role after Colbert asked how to pronounce the name of his character, Mar-Vell. So who is Jude Law playing in the movie? The mystery was shortly revealed with a Funko Pop! figure leaking ahead of time. According to the figure description, Law is playing Yon-Rogg, the alien Kree in the Captain Marvel comic books who becomes a major foe of Carol Danvers. The leak was first posted on the Anerdydad site, but given its sensitive nature, has since been removed. However, the cat is out of the bag. Yon-Rogg’s appearance in the movie fits the story quite well but it does give us another unanswered question. Will Mar-Vell be incorporated into the movie? A popular fan theory floating around suggests Carol Danvers goes by the name Mar-Vell while in the Kree Starforce, but once she regains her Earth memories, she swaps out the name for Captain Marvel. 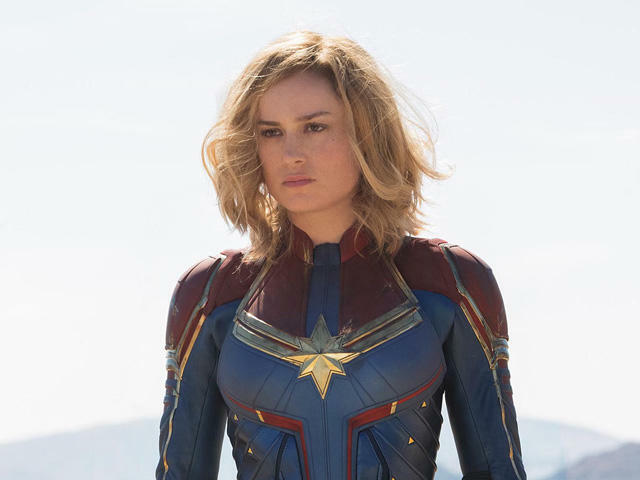 Captain Marvel is only few months away from being released. That means we’ll hopefully get some extra details regarding the movie and its mysterious characters.